A common misconception is that scheduling Thailand golf tee times ‘as early as possible’ is best to both beat the heat and get back to your hotel early. Actually this depends on where you golf in Thailand and what your priorities are. When you golf in Phuket humidity plays a big factor on ‘how hot it feels’. During night time warm moist air over the sea moves over Phuket Island driving up humidity, then during the day the sun comes out and burns off humidity. 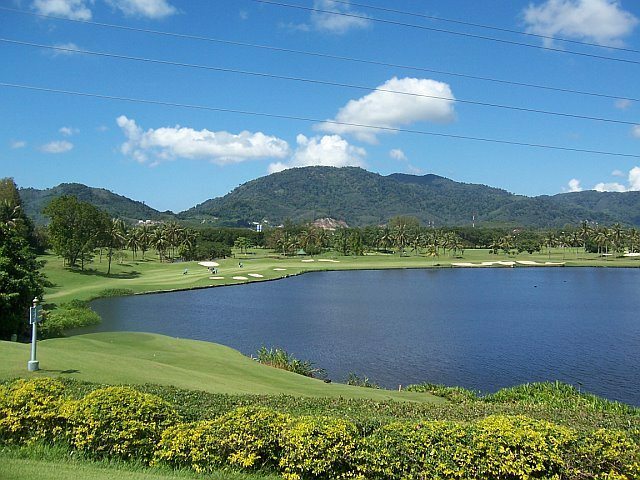 If you golf in Phuket, humidity will typically be highest in the very early morning and lowest during late afternoon. The “coolest” part of the day is afternoon, not morning. 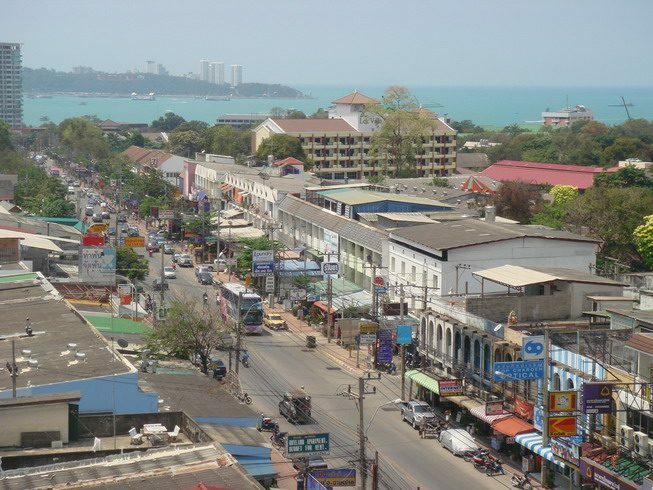 Another phenomena particularly in and around Pattaya is that there is very little air movement in early morning. 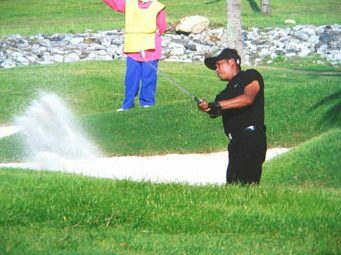 Then, in the afternoon, pleasant sea breezes from the gulf of Thailand descend upon Pattaya golf courses by around 2-3PM each day. The net effect is that the most uncomfortable time of day is 9AM to 1 PM. If you schedule to golf in Pattaya 7AM the front nine will be pleasant. But, by the time you get to the back nine, the weather can be very hot with stagnant air as you come down the stretch. I do not know about you, but this often wears me down. On the other hand if you plan to tee tee-off at around midday it will be hot when you start, but much more moderate with pleasant breezes after you make the turn. This makes golf in Pattaya much more enjoyable. 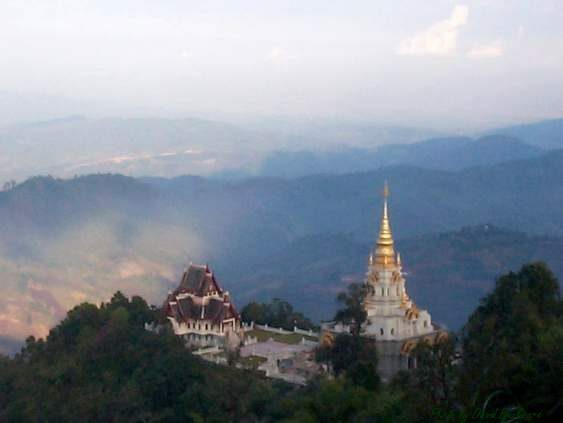 Hua Hin is the winner here, with Phuket’s north and west coasts posting an honorable challenge. 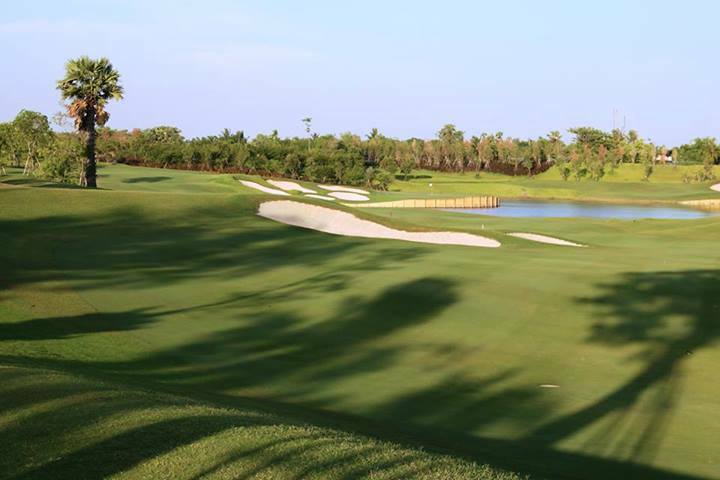 Until recently the golf in Hua Hin was mostly ‘so-so’ quality, though that has changed with some of newer venues which are up to world class standards. 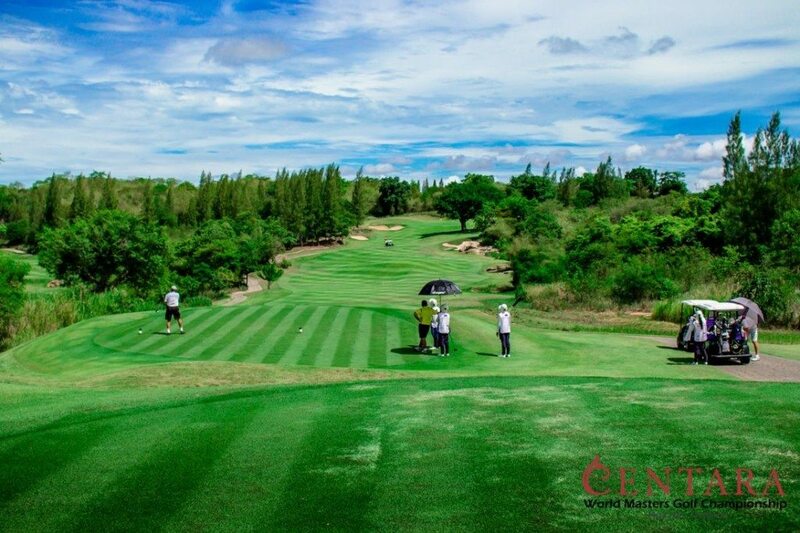 Banyan Golf Club won the “2009 Best New Golf Course in Asia” award, while Black Mountain Golf Club, only 2 years old, was voted as the second best Thailand golf course, just behind Thai Country Club. 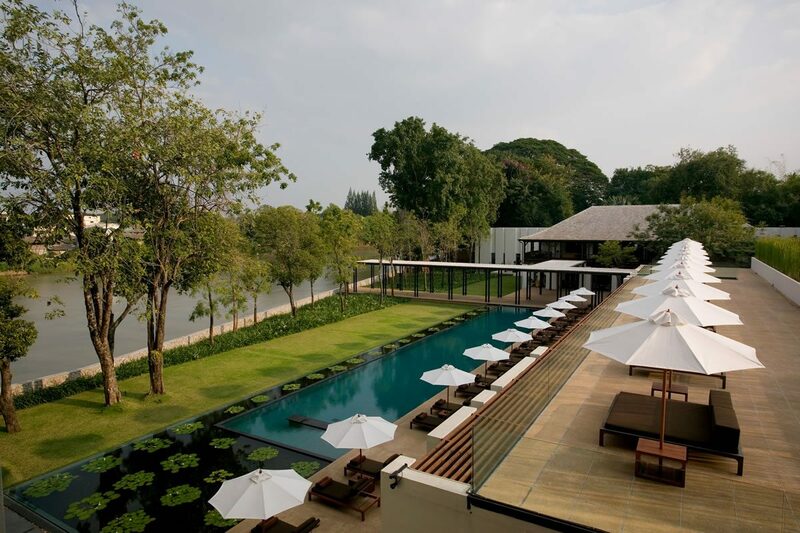 Both courses are located in the foothills above Hua Hin, which make for spectacular après golf views from the clubhouses overlooking vast and fertile valleys below. 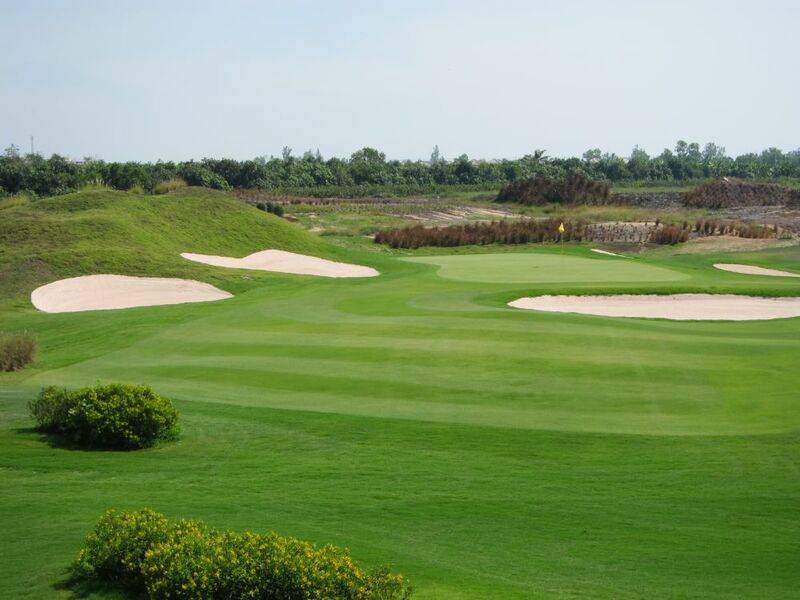 The old favorites like the Nicklaus designed Springfield Royal Country Club and Palm Hills Golf Club along with the newer Hua Hin golf courses mentioned are all only around 15 minutes from town, which makes golf in Hua Hin also the most convenient in Thailand. Mature couples in particular are drawn to Hua Hin specifically because of the ‘quieter and gentler’ nightlife here, and it continues popular as a weekend retreat for Bangkok residents as well. The “downtown” area is populated by boutiques, shops, and quaint restaurants and in comparison with the other Thailand golf destinations like Pattaya and Patong Beach on Phuket, practically free of beer bars and discotheques. 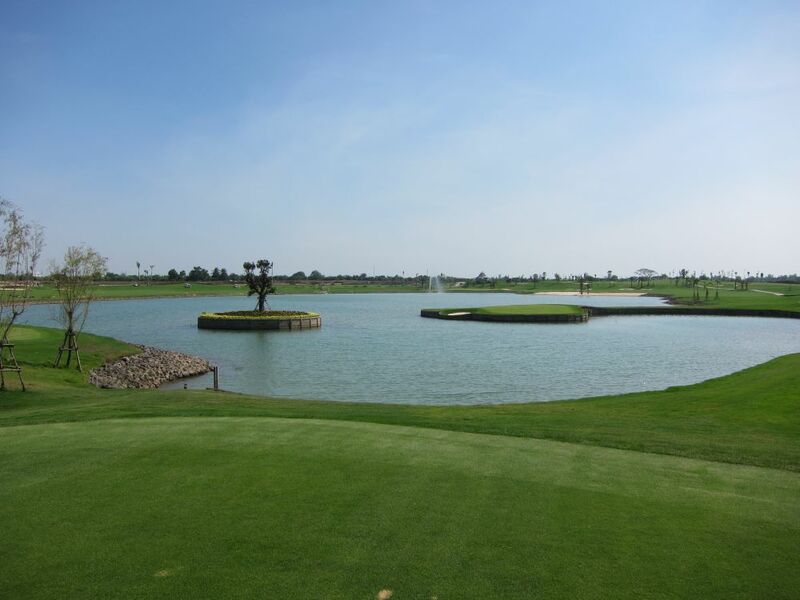 The Hua Hin golf area is located 2 hours from Bangkok by road or 2.5 hours from the new Suvarnabhumi airport. For those Thailand golfers who can do without the bar scene but a Jazz Festival sounds appealing?… Hua Hin is it. 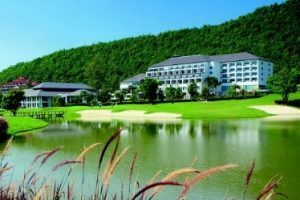 Many consider golf in Hua Hin to be the best value in Thailand at the moment with championship courses like Black Mountain Golf Club and Banyan Golf Club leading the pack. 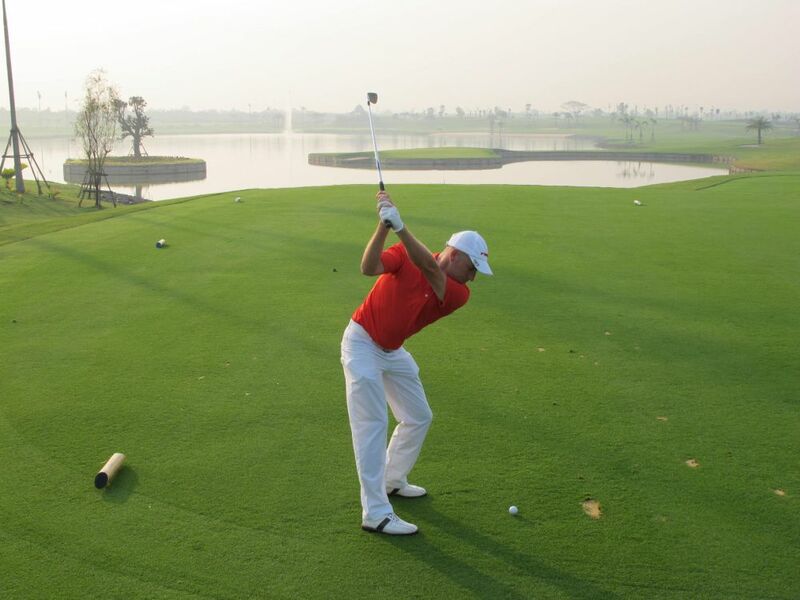 In fact, this year Banyan Golf Club was voted the best new course in all Asia. 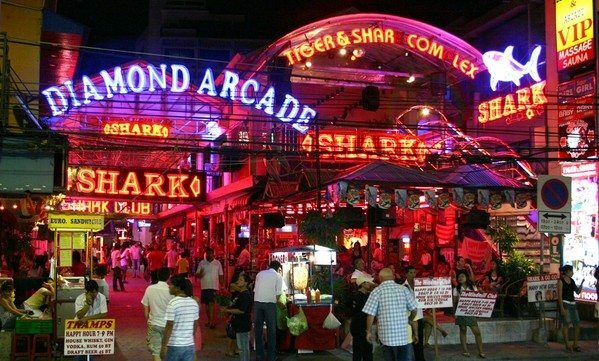 Hua Hin town itself, while much more subdued than other Thailand seaside resorts, still has its share of nightlife. Most hotels have in house live bands and I can think of no other better way to unwind after golf than listening to live Jazz under the stars during the Hua Hin Jazz Festival. If a street with a zillion beer bars does the trick than Phuket might be your choice (Bangla Road in Patong). Many also visit Phuket to enjoy its white sandy beaches and golfers will find plenty of both beach and nightlife for sure. 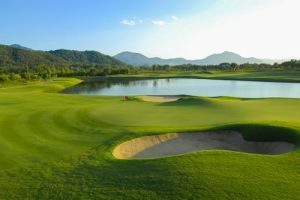 Add to that top courses such as Blue Canyon Country Club where Tiger Woods claimed one of the best come from behind PGA victory’s in 1998 and Red Mountain Golf Club, arguably the most spectacular course in the island, and you have a recipe for the best golf and nightlife holiday destination in Thailand. 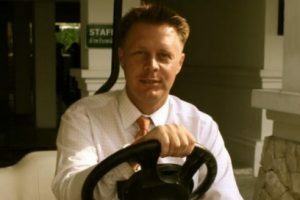 Owning a membership at of one of the golf courses in Phuket seems like a good idea to some, especially frequent golfers to the island who shun the idea of paying high green fees. 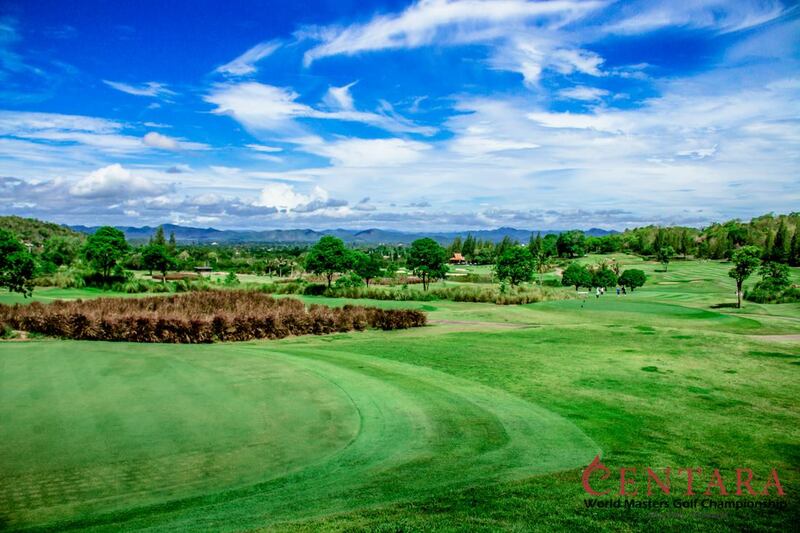 Thailand golf club memberships may be held by overseas residents and their prices are much lower than what one would pay at clubs in the USA, Europe, and Australia. Generally, the golf club membership secondary market in Thailand offers some even better deals than from the clubs directly. That is the good news. However, like anything else, buyers beware! Membership prices have been on a declining trend over the past year. The global economic slow down is apparent in Thailand and many expatriates are returning home and need to sell. There are very few buyers in the market, and Phuket is the worst hit area. I know of 4 high profile Phuket real estate projects that have been cancelled and put on indefinite hold. Take note of the many Phuket golf club memberships now available and advertised in print and on the internet. The prices shown often do not include the transfer fee, back dues (can be as much as the membership itself), and taxes. These hidden fees are subject to negotiation with the seller. Make sure you check with the golf club in question about any specifics. 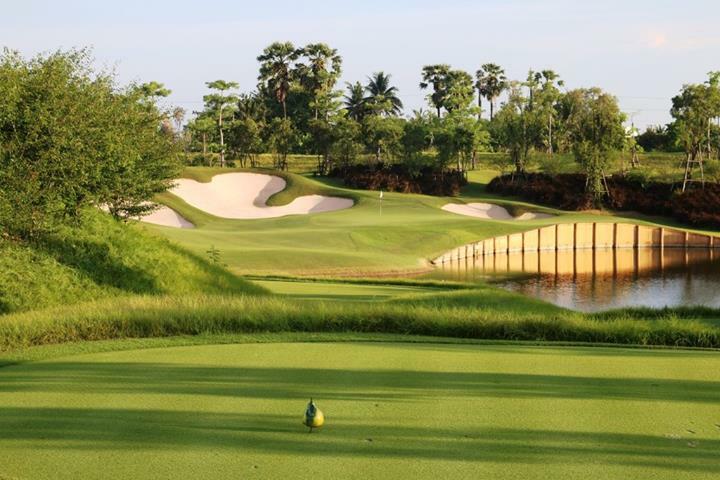 If you are planning a Thailand golfing holiday later this year, you may wish to consider being here at the same time as the Ryder Cup. The 2008 USA versus Europe shootout is scheduled for the weekend of 19-21 September at Valhalla Golf Club in Louisville, Kentucky. Thailand is a great place to catch all of the action on TV at one of the many sports bars in the main golfing centers. Valhalla is the Jack Nicklaus designed course where Tiger Woods beat Bob May in a thrilling US PGA play-off in 2000 on his way to a sweep of the four majors. Kentucky is 11 hours behind us. On Friday, September 19, after finishing work in Bangkok, I’ll probably head for somewhere like The Londoner on Sukhumvit Soi 33 with its super array of large TV screens, a wide selection of beers brewed on site, a good range of both Thai and Western food. Play begins at 7 pm Thailand time and I’ll probably watch the golf through until the early hours. 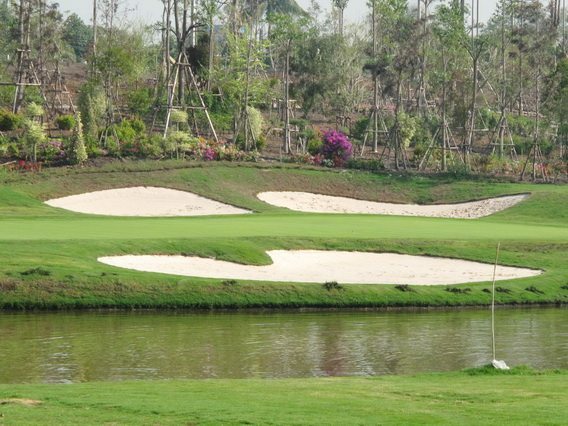 Here is the final part of Respect “The Elders”: A British expatriate golfers favorite Thailand golf courses. Set in the rolling hills behind Pattaya, this layout always gives me a lift. Being the first golf course in the area, of course the architect, I. Izumi, had the pick of prime locations and he did select well. The long driveway through the gentle hills past the reservoir and the sprawling mausoleum of the founding father builds the anticipation for a special day out. I particularly like the opening hole on each nine. Driving down hill always gives you the essential feeling of power to commence a good round. If there are weak points it’s certainly not the scenery which is breathtaking – it’s always breezy and to be honest the caddies are perhaps the happiest, friendliest bunch in the land. There is nothing lacking in hospitality and good cheer. If only the greens could be redesigned and laid by a top knowledgeable contractor. If only the lies on the fairways were more consistent. If only there was less traffic (but then perhaps the fees would go up!). If only one of the big name golf architects could surely make it, once again, a real treasure capable of holding the biggest of professional golf tournaments. 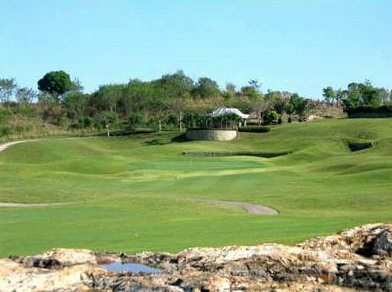 In an earlier posting about living in Thailand so that you can golf here year round, I referred briefly to the pro’s and con’s of buying golf course property. Nobody loves their golf more than me but, personally speaking, the last place that I would want to live is on a Thailand golf course – and that goes double for my wife. OK, you have easy access to golf whenever you want; particularly if a golf membership is included in the golf course real estate. 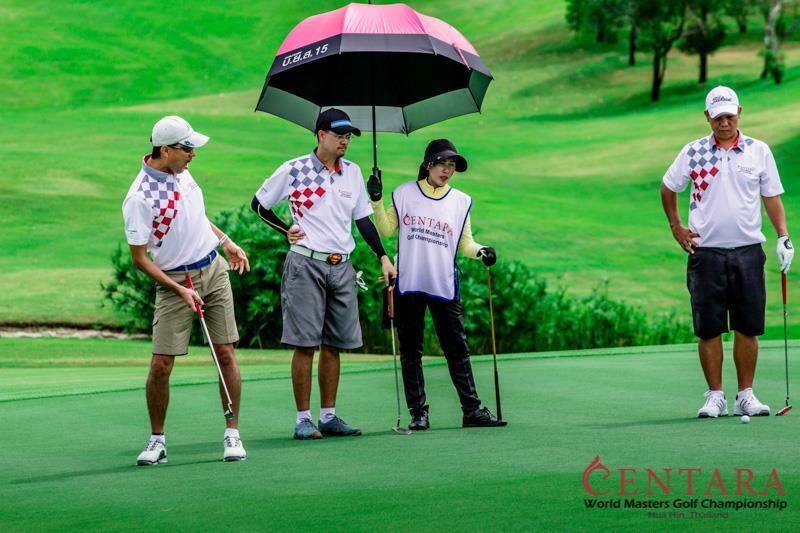 Some Thailand golf courses have a good range of other facilities such as restaurants, massage, gymnasium, tennis courts, driving range and swimming pool. 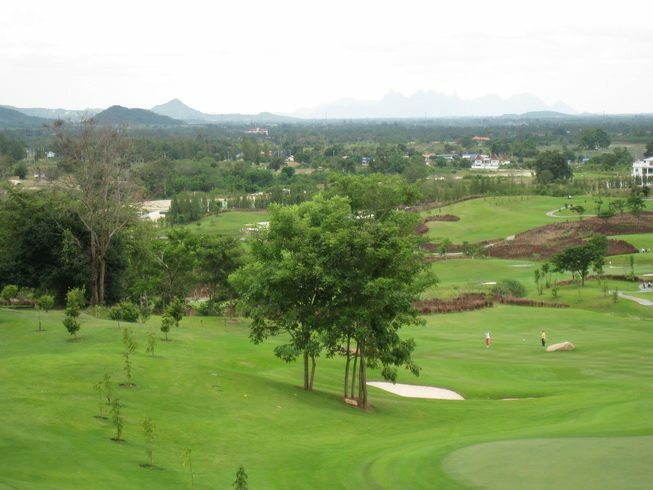 Also you can have the quiet of the often beautiful setting of a Thailand golf course far away from urban development. 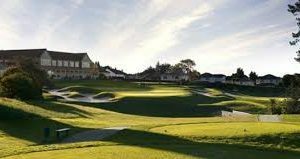 Buying a golf housing estate creates an instant social network of friends and you will never be short of a neighbor in search of a round. 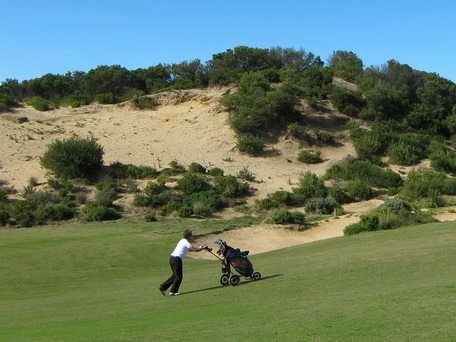 Golf properties also offer good rental potential. 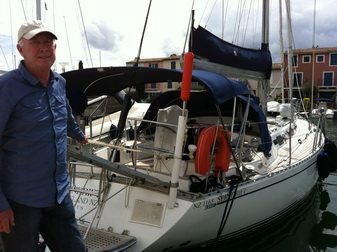 But, consider the practicalities too. If your wife does not play golf, what will she do with herself whilst you are out gracing the fairways? 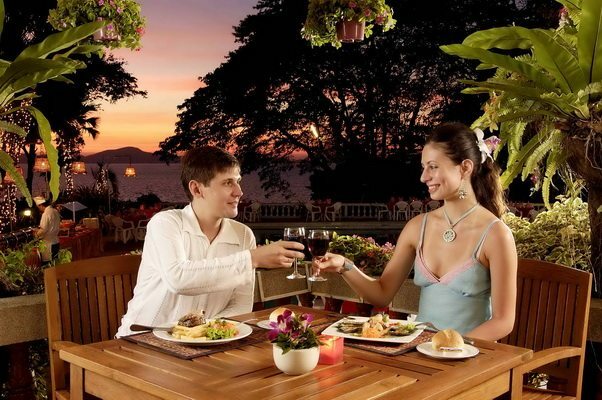 And after you have eaten in the club restaurant for seven nights in a row, or you have simply run out of beer, you may well have a 30-minutes-plus ride to the nearest restaurant or seven eleven – indeed, at some Thai golf housing estates like Lakewood or Summit Windmill in Bangkok, it can take 20 minutes just to reach the exit! For me, it is just too quiet. Some of you planning a golf trip to Thailand may wonder about staying in a guest house to save costs during your Thailand golf holiday. Unless you specify a particular location, I usually suggest that you would be better staying in a recommended and, if possible, internationally branded hotel. Let me explain. In Europe and the USA you are likely to find a wide selection of bed and breakfasts, which are most always clean and comfortable at a reasonable cost. This is not the case in Thailand. In the first place, hotel rooms, even at 5 star properties, are already much less expensive than in Europe and the USA. In addition, most of the lower cost Thailand guest houses have some combination of unsanitary conditions or bug infestations and almost always located in the least desirable parts of town, thus making them unfit for western golf tourists. This is because, unlike in the more developed countries where the lodging industry is heavily regulated, including periodic inspections, there are few such safeguards in Thailand. Golf in Kanchanburi is staring to see a resurgence as the weather has now turned cooler and we are in the mist of probably the best Thailand golf season ever! Over the last 2 days I had discussed the various golf options in the region by reviewing 5 best Kanchanburi courses. Here is the final post in my River Kwai golf series, covering accommodation selections as well as mentioning a great local dining tip, regional culture and history. 1. In Kanchanaburi itself. 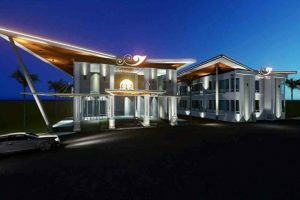 The River Kwai Hotel is a comfortable, reasonably priced hotel suitable for golfing groups being centrally located not far away from tourist bars and restaurants, with a lively discotheque next door. Nick, a good Thailand golf buddy of mine who had recently returned from a long weekend Pattaya golf trip with six of his best friends was in a state of shock when he saw his Thai wife looking through his credit card bills. Being a curious and non-trusting type, his wife asked him to explain a 1,500 baht charge marked “joiner” from the Hard Rock Hotel in Pattaya (see photo at left). Fortunately my friend was quite fast on his feet, maybe due to other past and similar occurrences, and explained that he and his friends had engaged in some play boxing which accidentally damaged the hotel room where they were staying. Upon checking out and learning of the room damage, the hotel management demanded the big foreigner pay the repair bill. The room needed a new joiner to “fix the door” my fiend told his now slightly confused Thai wife, who, by all accounts, accepted the explanation, albeit reluctantly. 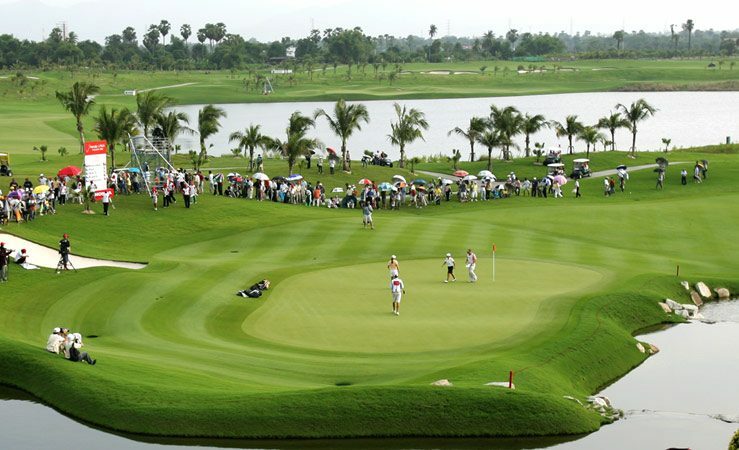 Thailand golf vacations can be some the best the world consisting of great hotels, golf courses, and transportation. While yesterday’s post focued on accomodation ooptions, today I will finish up by discussing about golf course selections and transportation options. 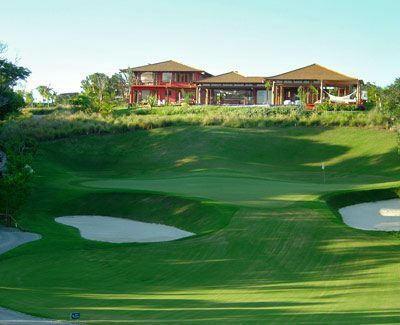 The selections of golf courses are very important, especially for the first time visitor who has no experience of the courses. The standard, dfifficulty level, location and green fees can vary significantly. Once again, care should be taken when considering any package with regards to this as any qualified operator should be glad to work with you to customize your package to your needs. 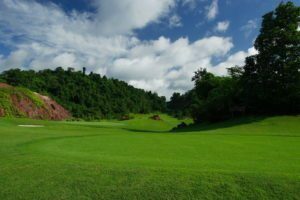 The Thailand golf high season is fast approaching and many of you maybe looking to take the golf holiday of your dreams. Therefore, I thought it appropriate timing to write on this important topic over the next 2 days. Much of the information I will cover is applicable not only to Thailand, but other destinations as well and I hope you find it useful. When arranging your golf holiday in Thailand, it is always wise and recommended to compare offerings from more than one tour operator. Unless you are getting quoted an exactly similar package, where upon the choice would purely be down to price, then you must take care in evaluating and comparing the different products you are being offered. What would you do if you were to bump into these guys at the train station on your way to the office (I really did yesterday) ? Here is my up-to-the-minute Thailand situation report as well as my assessment of how things will progress going forward and advise for travellers coming to Thailand. The military coupe d’etat in Thailand has been reported worldwide in the last 24 hours and I trust you are aware of the main events. I am glad to report that the situation in Thailand is very calm and peaceful as of 8:44 AM Thursday morning.